Augustine was one of the greatest theologians of Western Christianity, having been a profound influence on the development of thought and culture. More than any other person he shaped the themes and defined the problems that have characterized the Western tradition of Christian Theology. In his day, the Mediterranean region consisted of an Eastern, Greek-speaking half and a Western, Latin-speaking half, with different ways of looking at things. 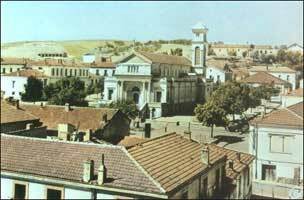 Augustine was born on 13 November 354 AD in the town of Thagaste in the Roman province of Numidia, now part of Algeria. Augustine's mother, Monica, was a Christian, and his father a pagan, who became a Christian before his death. His mother undertook to bring him up as a Christian, but Augustine decided to follow a racy lifestyle and, at the age of eighteen, he had a son with his mistress, with whom he continued to have a long term and faithful relationship. Trained at Carthage in rhetoric, or public oratory, which was a requisite for a legal or political career in the Roman empire, he became a teacher of in Carthage, then Rome, and finally Milan, a seat of imperial government at the time. 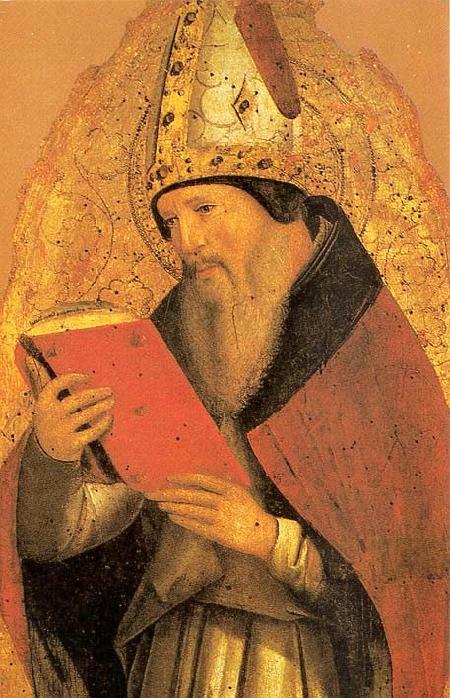 At Milan, in 386, Augustine underwent a religious conversion. He retired from his public position, received baptism from Ambrose, the bishop of Milan, and soon returned to North Africa. In 391, he was ordained to the priesthood in Hippo Regius and five years later he became bishop. 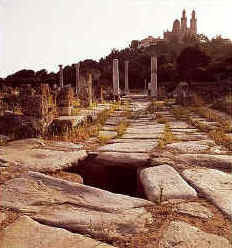 Hippo was the ancient name of the modern city of Annaba, Algeria. 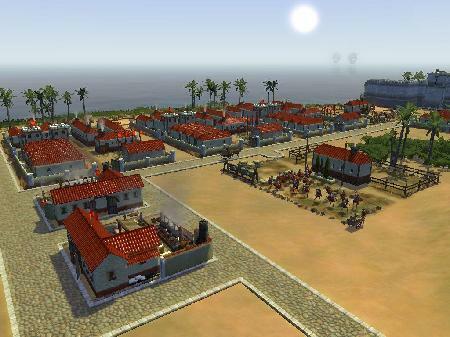 It was a major city in Roman Africa, hosting several early Christian councils. The first part of Augustine's life can be seen as a series of attempts to reconcile his Christian faith with his classical culture. As a student in Carthage, he encountered the classical ideal of philosophy's search for truth and was fired with enthusiasm for the philosophic life. Here, he adopted Manichaeism, a Christian heresy adhering to a purified text of Scripture. He became disillusioned with this and, nine years later, he arrived in Milan, unattached to a faith. There he discovered Neoplatonism, a form of philosophy that seemed compatible with Christian belief, and he found that he was able to give up the ambitions for public success that had previously prevented him from embracing the philosophic life. 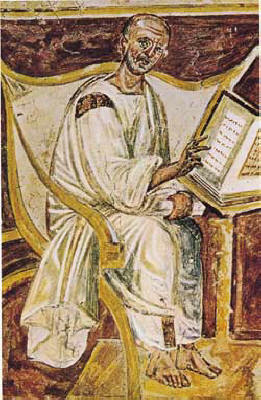 The result was the dramatic conversion to Christianity, that led Augustine to devote his life to the pursuit of truth. With a small group of friends, he returned to Thagaste and established a religious community dedicated to the intellectual quest for God. Here is the earliest image of St. Augustine from a 6th century fresco in San Giovanni Lateran, Rome. Augustine's ordination, forced upon him by popular demand, during a visit to Hippo in 391, brought about a fundamental change in his life and thought. It redirected his attention from the philosophic Christianity he had discovered in Milan to the turbulent Christianity of North Africa's cities and towns. His subsequent career as priest and bishop was to be dominated by controversy and debate. Especially important were his struggles with the Donatists and with Pelagianism. The Donatists promoted a Christian separatist movement, maintaining that only they were the true church and that, as a result, only their Sacraments were valid. Augustine's counterattack emphasized unity, not division, as the mark of true Christianity and insisted that the validity of the sacraments depended on Christ himself, not on any human group or institution. Pelagianism, an early 5th-century Christian reform movement, held that no person could be excused from meeting the full demand of God's law. In doing so, it stressed the freedom of the human will and it’s ability to regulate behavior. In contrast, Augustine argued that because of Original Sin, no one can entirely govern his own motivation and that only the help of God's Grace makes it possible for us to do good. In both of these controversies, Augustine opposed forces that set Christians apart from others on grounds of exclusivism or moral worth. He succeeded in bringing together the philosophic Christianity of his youth and the popular Christianity of his congregation in Hippo. In doing so, he created a theology that has remained basic to Western Christianity. His Feast day is Aug 28.